As a national animal welfare organization, the ASPCA’s role is to ensure the safety and protection of animals everywhere. While progress for homeless animals has been made by local organizations in Los Angeles, their annual shelter intake is still more than 170,000 animals—and roughly half of them don’t make it out. 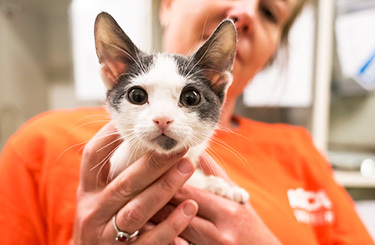 Over the past decade, the ASPCA has developed a model for saving lives in high-density urban environments that struggle with animal homelessness, and we aim to replicate our past successes in Los Angeles. 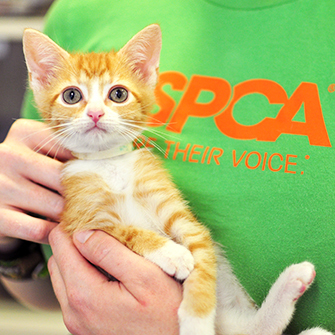 The ASPCA offers free spay/neuter surgeries for qualified residents of Los Angeles. Our program helps keep Los Angeles families and their pets together. Help us give homeless cats in Los Angeles the best chance for a happy life by becoming a foster today. Transporting animals to participating shelters with more kennel space and higher adoption demand. Koko and Sophia Are Each Looking for Loving Families in the Los Angeles Area! Need Assistance with a Pet in the Los Angeles Area? Contact Us! We may be able to connect you with resources and services available through ASPCA programs in Los Angeles. Please complete our inquiry form and our team will contact you within 48 hours. ¿Necesita ayuda para su mascota, en el área de Los Ángeles? ¡Comuníquese con nosotros! Por favor complete nuestra forma, un representante se comunicara dentro 48 horas.